Bangalore restaurants- Food and Travel: The Couch - Ouch!! The Couch is on MG road right before the LIC building. It was a place Sudhakar visited a while ago. Unfortunately he doesn't really remember the names of the dishes, but he does remember what the basic make-up was and how each one tasted. For starters, the Couch is slated to be a pub, but Sudhakar felt that the ambience was very childish as were the interiors. The music was crass and too loud. He and his friends were hoping that at least the food would be the redemption of the place, but they were disappointed there as well. That day, they decided to skip the starters and head straight to the main course. Guess they were just too hungry. 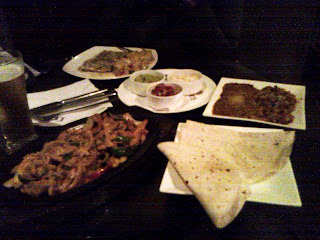 Sudhakar went in for a Mexican meal, which came in three parts... A plate of plain burritos, a platter of shredded chicken, another dish of cooked veggies and dish of varied sauces. It was upto the guest (in this case Sudhakar) to put the dish together, the way they want. The verdict - it was very forgettable. Sudhakar's fried opted for a fish dish, which was two fillets of chicken with two mounds of spiced rice. 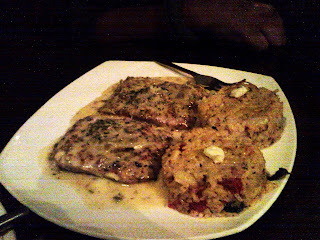 This dish was better of the two, with the fish being soft and well cooked and the sauce spiced well. The presentation could have been worked on. 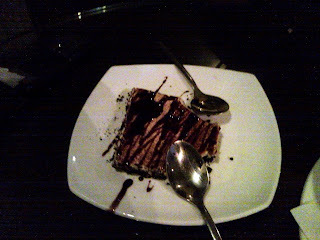 For dessert they shared an oreo cheesecake which would score several brownie points in the redemption of the place. All of this with a beer and a margherita left them both short of approximately Rs 1000. While Sudhakar's friend has been there before and liked the place, Sudhakar had a diametrically opposite opinion.